Lab tests are a valuable assessment tool. They allow the clinician a behind-the scenes look at the functional metabolism of the patient, providing both an initial diagnosis and a benchmark for measuring the success of a treatment plan. In the world of fertility, lab tests are a common language shared by different practitioners. While the topic may at first appear complicated, with a little time and familiarity the alphabet soup begins to sort itself into a discernible pattern. Let us consider what is needed in order to conceive: sperm, eggs, open fallopian tubes, and a healthy uterine environment. Age is the one factor that affects fertility for all women. The most important task of the fertility specialist is to assist patients in maximizing their window of opportunity. The ability to spot red flags in a patient’s work-up will allow the practitioner to effectively guide the patient in considering the most appropriate options in a timely fashion. Red flags include male fertility factor (poor sperm), diminished ovarian reserve (an indicator of both potential egg quantity and quality), blocked fallopian tubes, an impaired uterine environment, and any other significant metabolic or hormonal imbalances that may interfere with one’s fertility. - Summary of the information to be presented during the workshop, providing a framework to participants that will contextualize the myriad of details to follow. - Timelines: A discussion of the appropriate timelines for performing the different lab tests; this will facilitate a better understanding of appropriate case management. - Types of testing: This section will differentiate between blood, saliva, and urine tests, describing the pros and cons of each. - An introduction to the lab tests that comprise the basic fertility work-up, leading to a familiarity of what labs should be included. - Diagnostic tests defined: In-depth examination of the individual markers found in the fertility work-up, resulting in a more thorough understanding of the lab tests. - An introduction to the lab tests that comprise a comprehensive wellness panel, leading to a familiarity of what labs should be included. - Diagnostic tests defined: In-depth examination of the individual markers found in the comprehensive wellness panel, resulting in a more thorough understanding of the lab tests. - This document provides a quick reference for evaluating lab results; reviewing this synopsis will serve to summarize the lab tests used to evaluate fertility and reproductive health. - This section delves into the nuanced interpretation of lab markers to establish a pattern of imbalance and/or pathology. - In the final hour we will focus on the practical application of the information derived from lab tests in the clinical setting. How do the numbers help to determine the most suitable treatment options? When is it appropriate to refer to a specialist? Leslie Oldershaw is a licensed acupuncturist, nutritionist, and herbalist providing comprehensive care integrating Eastern and Western medicine to best serve the needs of her patients. Having studied health and nutrition for over 30 years, Leslie earned her Bachelor of Science degree in 1987 from the University of California at Berkeley, and her Master’s degree in 1993 from the American College of Traditional Chinese Medicine in San Francisco, with advanced training in women’s health and fertility. 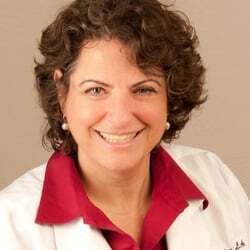 Leslie is nationally board certified in acupuncture and licensed as a primary care provider by the State of California. As an undergraduate completing a pre-med curriculum, Leslie’s academic focus was on a combination of biochemistry and ecosystems, thus cultivating an appreciation for the interactions that comprise a healthy, highly functional and dynamic living system. This foundation readily supported her study of the holistic paradigm of traditional Chinese medicine. Bringing the best of both worlds together for her patients, Leslie offers a blend of integrative medicine that consists of the holistic infrastructure offered by traditional Chinese medicine combined with modern Western medical science. Leslie’s long-standing interest in women’s health and endocrinology led her to specialize in fertility; she has since developed a solid reputation in the Bay Area for helping patients integrate acupuncture, nutrition, stress reduction, lifestyle counseling, and herbal remedies along with Western fertility treatments to achieve optimal fertility. A prolific writer and engaging public speaker, Leslie’s passion for teaching has inspired numerous articles on the subjects of acupuncture, women’s health, and fertility, and she frequently lectures on these subjects. Leslie maintains a private practice in Piedmont, California. This was a great course! Lot's of very valuable information that I can integrate into my practice! Thanks! Leslie's seminar was absolutely fabulous. Her information was well explained, and her examples were incredibly helpful. I liked the charts and hearing about her experiences. Please thank her for me!!! One suggestion: I think this course should have been worth 10 PDA points. of material and extremely helpful! A thoughtful and resourceful class!